With thanks to Jamie Green (SVR), Nick Willcox (SVR) and Andrew Hardy (KESR), there are now 30 new figures designed for Industrial layouts. 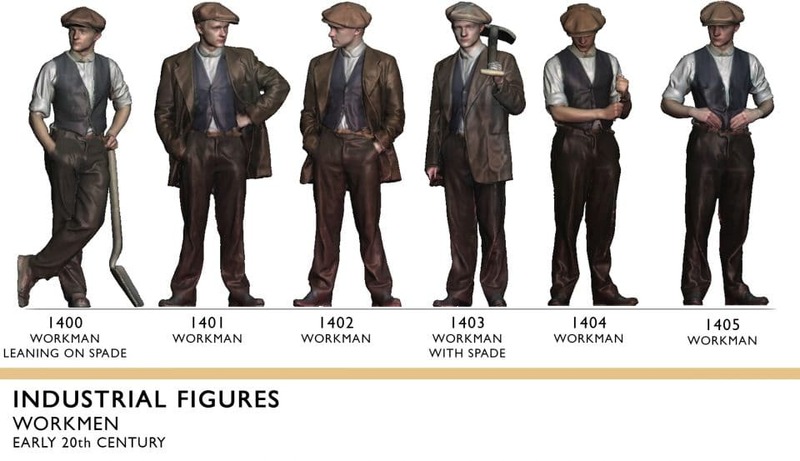 These include loco crew, workmen and shunters for the early 20th and mid/late 20th century industrial periods. Many of the poses have been inspired by images from Visions of Steam (Cavalier & Silcock) and Steam Railways in Industry (Gifford & Gamble). More figures will be added in the coming months. The new figures can be found in the Industrial Category in the webshop. Great set of figures! I am looking for a mid 20th century seated driver for a narrow gauge Ruston LB in 4mm scale for a 50’s slate quarry. 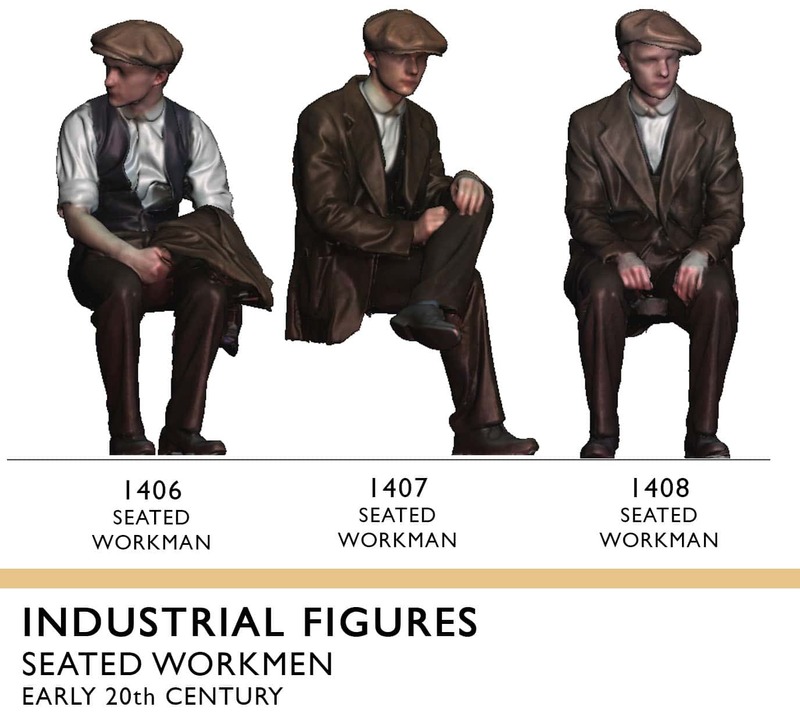 Possibly the industrial workmen figures could work? The door aperture is only 7mm wide x 18mm high. Ideally the driver would be looking to the left as the driver sits sideways, but i am not too worried about that. Exceedingly interesting range of figures and taken from life. 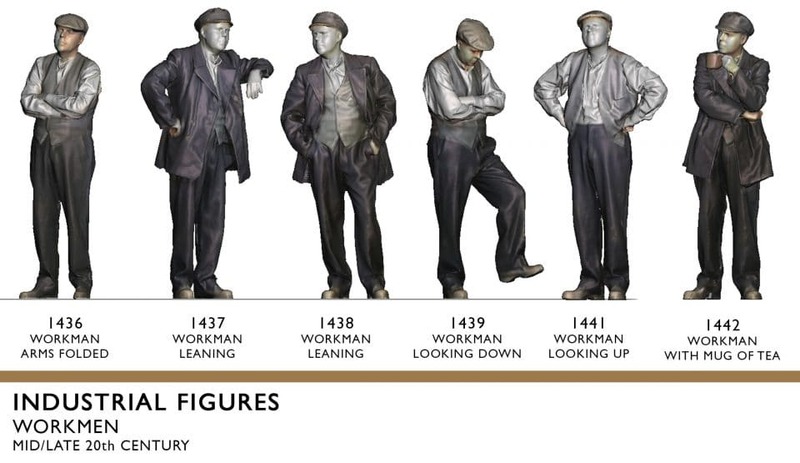 How interesting this would be to have several of our `Volunteers` scanned for posterity and immortalized in scale form from `Down the Mills, Re: Claymills.org.uk. ?? Hi Alan, Thank you for your kind comments! It would be a pleasure to do some scanning at Claymills. Drop me a line at alan.buttler@modelu3d.co.uk and I can take you through the process. I can print any of the figures in the range to order in 16mm scale, they are £25 each. I will shortly be adding 16mm as a scale option along with G scale and Gauge 1, but in the mean time you can order over email and I can send a paypal invoice.